Thinking of what to do during your summer break? Join the E!Dash and stand a chance to win attractive prizes. A paper authored by Dr Konstadina Griva from the Department of Psychology, NUS, was awarded a distinction for being among the top 10 best abstracts submitted to the prestigious European Renal Association and European Dialysis and Transplant Association’s (ERA-EDTA) annual congress. The paper entitled ‘Short and long-term outcomes of the hemodialysis self management intervention randomised trial (HED-SMART) – a practical low intensity intervention to improve adherence and clinical markers’ was one of more than 2,400 abstracts submitted for consideration by the expert international panel. Dr Konstantina Griva is the principal investigator on a randomized controlled trial of self-management intervention funded by National Kidney Foundation, Singapore (HEmoDialysis Self MAnagement Randomised Trial; HED SMART). For patients receiving hemodialysis it is vital that diet, fluid and medication recommendations are closely adhered to. However, the success of self management is often patchy and the importance of following the advice is not well understood. The work led by Dr Konstadina Griva and collaborators examined the use of a HED-SMART intervention, a four session, group based, self management intervention on treatment adherence for patients on hemodialysis. They found the HED-SMART program had significant post-intervention improvements in both clinical markers and self-report adherence. The ERA-EDTA is one of the fastest growing Medical Association whose purpose is to encourage and to report advances in the field of clinical nephrology, dialysis, renal transplantation and related subjects. Their annual conference is the world leading event for practitioners and researchers in the fields of clinical nephrology, hypertension, dialysis and kidney transplantation. 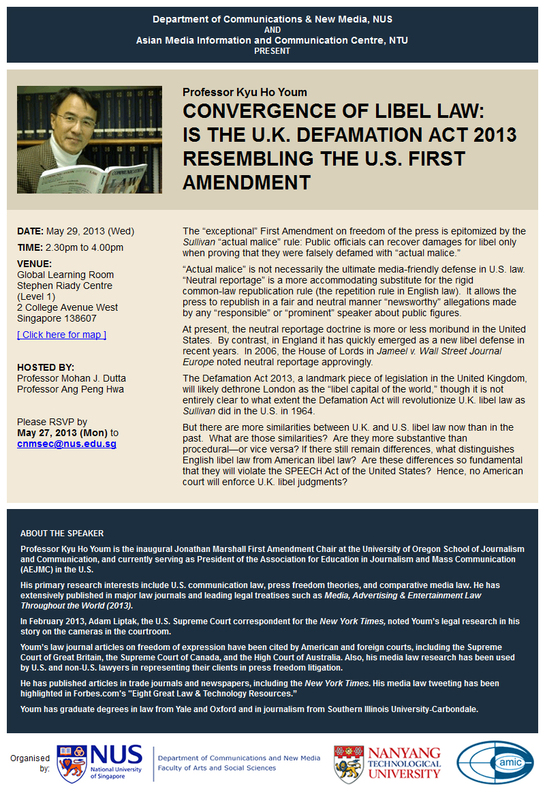 The Department of Communications and New Media is co-organising with AMIC- NTU a talk by Professor Kyu Ho Youm, inaugural Jonathan Marshall First Amendment Chair at the University of Oregon School of Journalism and Communication, at 2.30 p.m. Wednesday 29.05.2013, Global Learning Room – Level 1 Stephen Riady Centre, University Town. 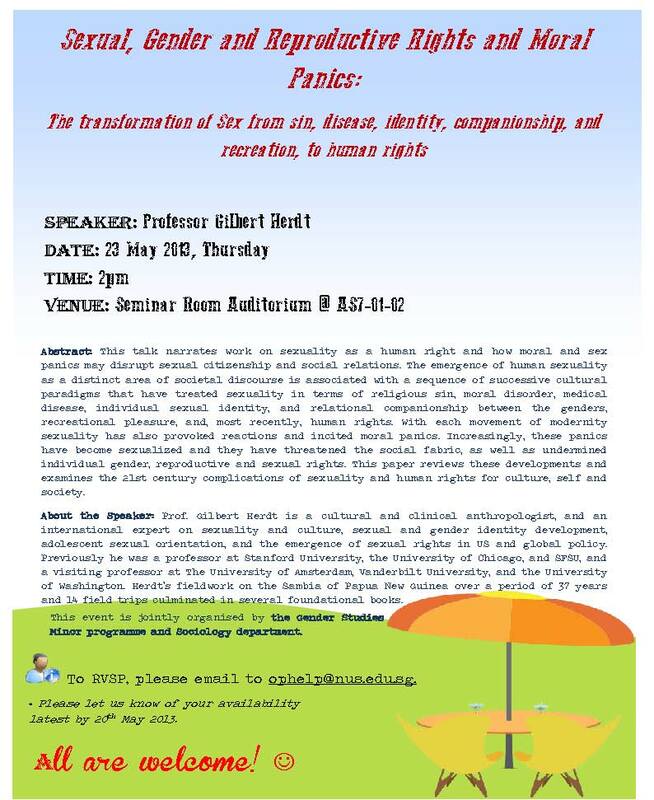 Please RSVP by Monday 27.05.2013. The business world faces an acute global talent shortage of Trained Business Analysts to make sense of the trillions of bytes of data about companies customers, suppliers and operations. To address this, globally ranked NUS Business School and NUS School of Computing, together with IBM and the Economic Development Board (EDB) of Singapore, have created a jointly hosted Master of Science in Business Analytics (MSBA). 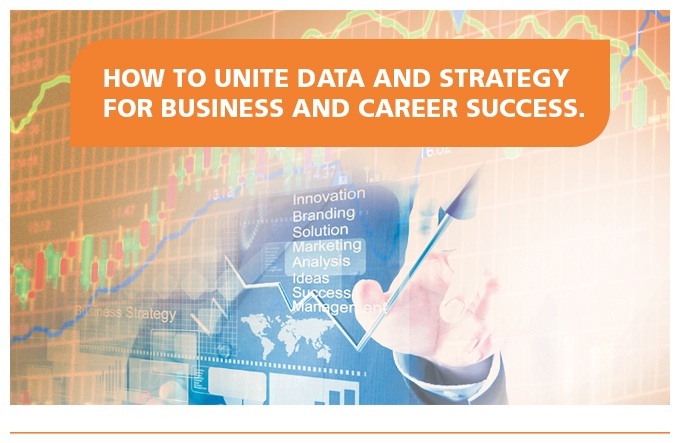 The MSBA aims to enable participants to understand and solve complex business analytics problems using appropriate analytics techniques and tools. Graduates are trained to deliver actionable intelligence through robust analytics and quality internships, making them highly marketable post-graduation. The maximum candidature period is 2 years and 4 years respectively. The programme comprises 8 modules to be completed in two regular semesters alongside a one-year capstone professional consulting project. Join us at our information session to find out more! 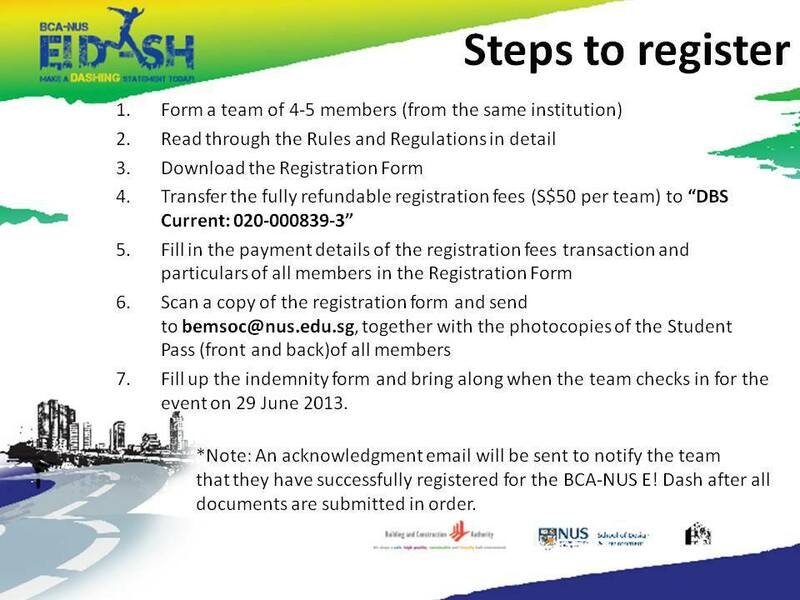 Click here to register by 30 May 2013. Robert Lyons from the Asian Studies Program, Georgetown University’s School of Foreign Service will conduct an information session for students interested in learning more about the University, the MA Asian Studies degree, as well as an overview of the other postgraduate programmes and schools. This will be followed by a question and answer session and the opportunity to speak with Robert on an individual basis. 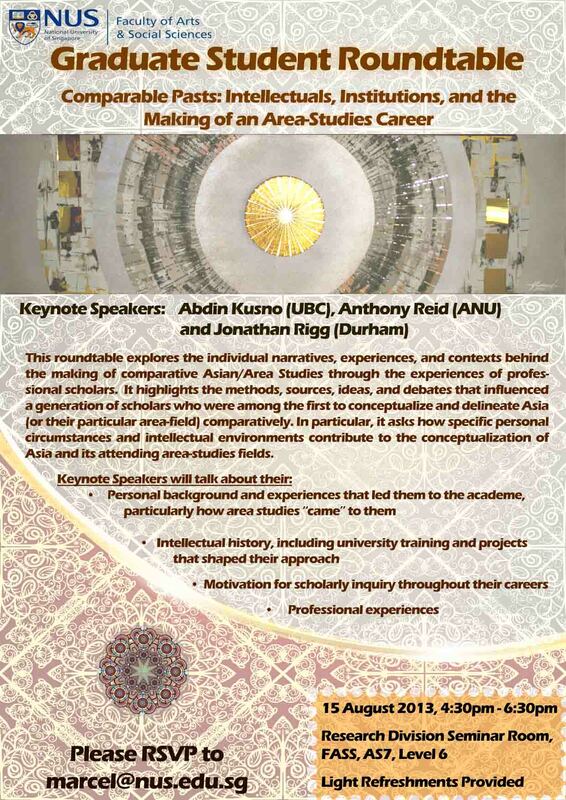 To attend the seminar, please register through your online application via http://www.gia.org.sg/registration_form/registration_mkss.php by Thursday, 16 May 2013. The registration site will not be accessible after the deadline. The seminar is limited to 230 people and pre-registration is required. Please register early to avoid disappointment. More information can be found here. For more information, please contact GIA Secretariat at scott.paglar@gia.org.sg or 62218788 extn 211. PS: The seminar is free and proudly sponsored by L.C.H. 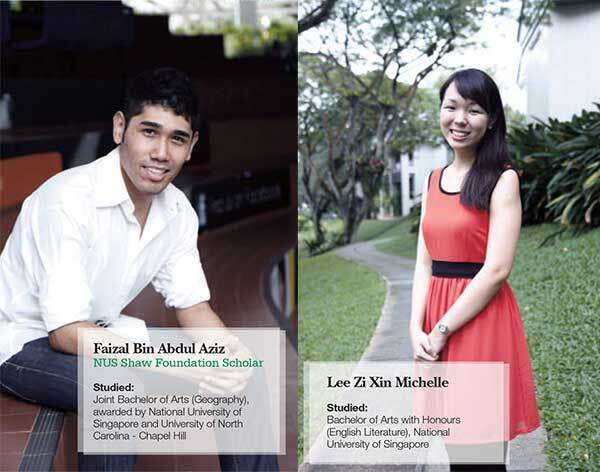 (S) Pte Ltd.
Our students Faizal (Geography major) and Michelle (English Literature major) shared their experience and thoughts about being FASS students in the Brightsparks magazine. The Singapore Memory Project is a nationwide initiative to allow the younger Singaporeans learn how Singapore has evolved over the years. The Sembawang Memory Project will involve residents sharing their stories on their past experiences and how they have seen neighbourhoods transformed from kampongs to urbanised towns. These stories with pictures will then be published in a book titled “Chronicles of Remembrance” which will be prefaced by President, Dr Tony Tan. Be a part of The Sembawang Memory Project and help capture stories of residents’ experiences, challenges and how they braced through tough times. Learn and appreciate Singapore’s past not from textbooks, but from real-life experiences. Form a team of 2-4 students and attend a ½ day workshop to be conducted in late June (tentatively between 19-30June) on interviewing and creative writing skills at no cost. A gathering session will be held to introduce the residents to students who should then make appointments for the interview at a mutually convenient time. Students and the featured residents will be invited to the Official Launch of the “Chronicles of Remembrance” where exhibitions on the articles will be showcased. Students’ contributions will be acknowledged in the book and CIP points may be awarded as well.